Many residents and businesses that packed their bags and left the Middle East at the height of the crisis are now zipping their luggage for a completely polar reason. As the Middle East rises from the ashes of the recent financial downturn, a great number of companies and ex-residents that fled the region are now clawing to take the next flight in. 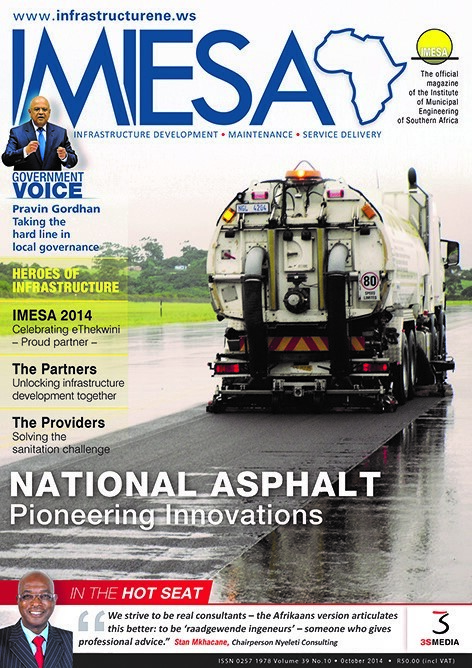 The Middle Eastern governments, particularly in the GCC countries, have remained tenacious in the face of the downturn and strategically, albeit riskily, continued to disburse notable amounts to fund infrastructure, commercial and residential projects, which were then in danger of being either stalled or cancelled. 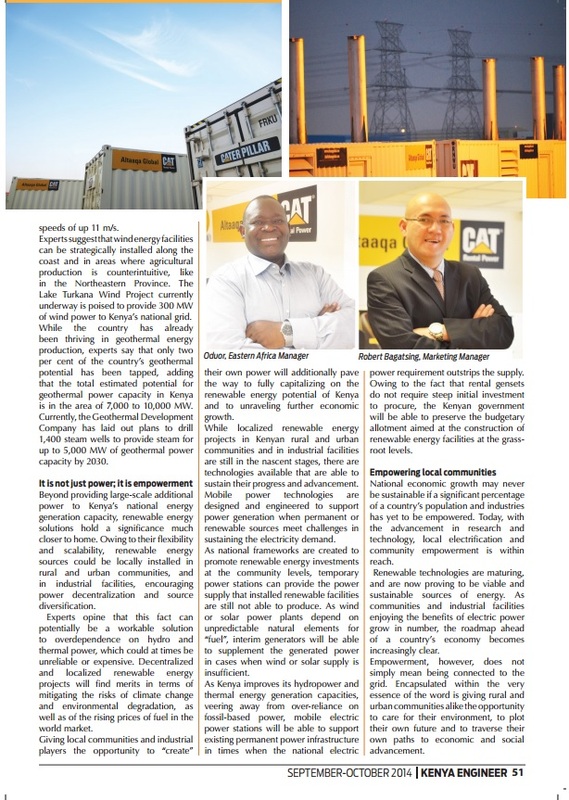 Now, in light of the nascent regional upturn, these projects (in addition to new ones) are gaining traction, and the companies that used to shy away from them from fear of an unprecedented collapse are now optimistically tendering to win the rights to capitalize on the burgeoning GCC construction industry. 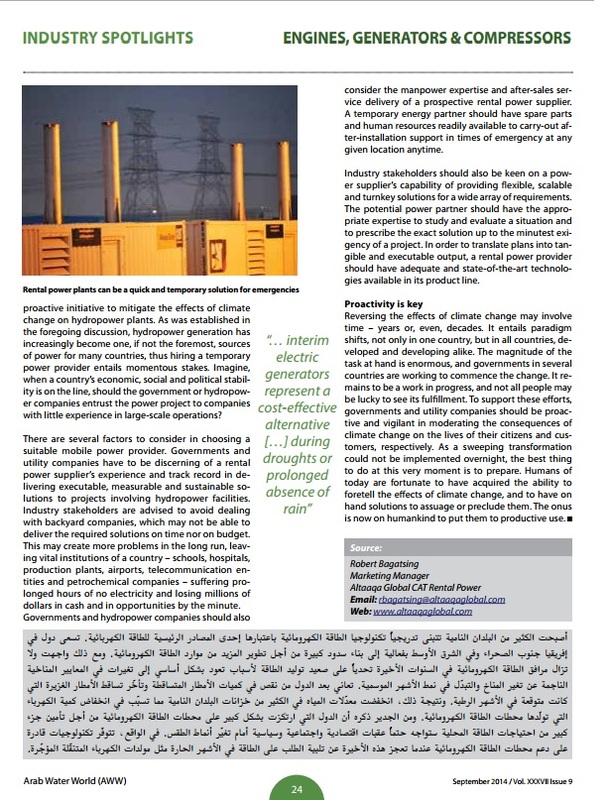 However, the companies and the residents in the GCC will not only have the economic and financial rewards to share among themselves – each of them will also have to take a piece of the region’s energy supply, which may not be as rapidly expanding as the economy or as actively evolving as the industrial processes. 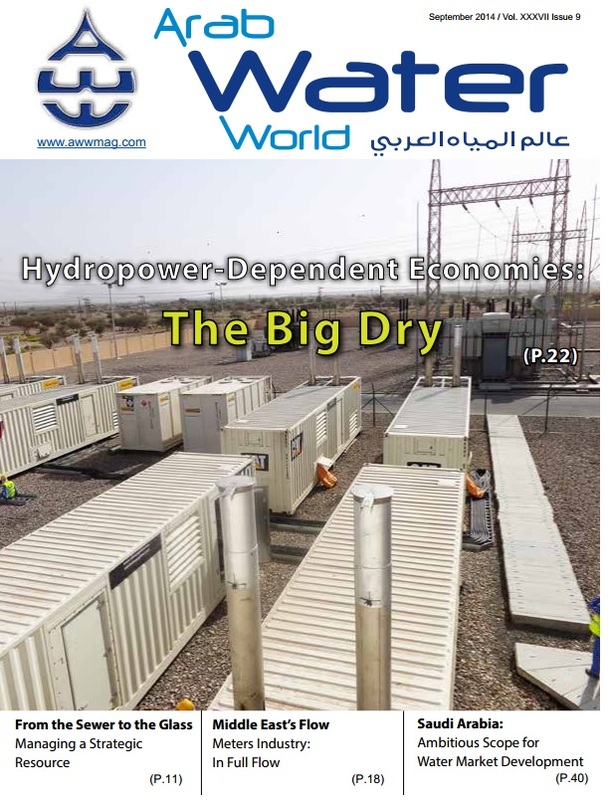 A perennial issue in the developing economies, like the Middle East, is the observed discrepancy between the rate of economic and industrial expansion and of investments in power-related infrastructure. 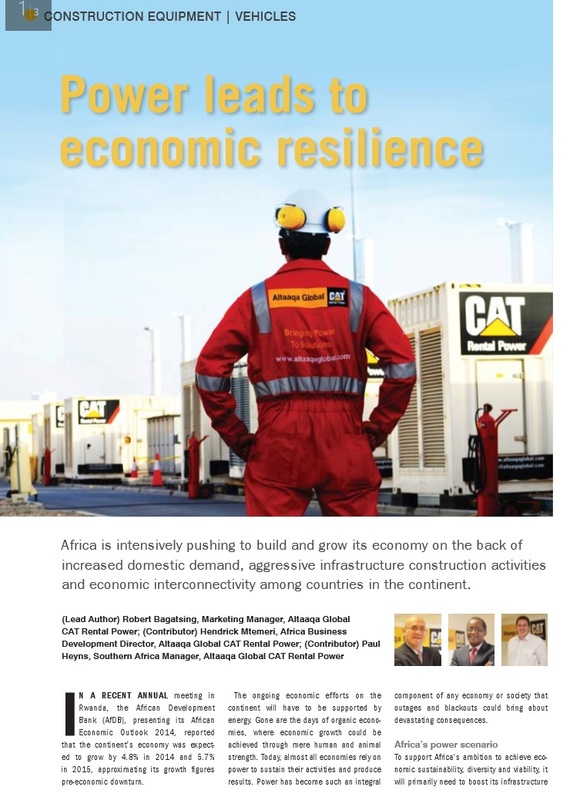 Economic activities in emerging markets are increasing at a remarkably fast pace while projects related to power generation or distribution are, most of the time, suffering notable delays. 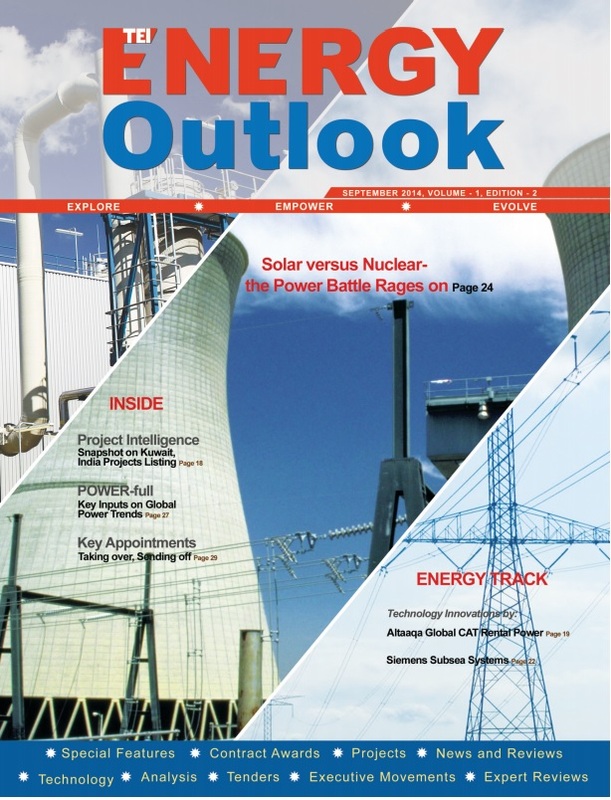 That the demand for energy outstrips the supply may bring about serious repercussion in the foreseeable future. Most of the countries in the Middle East depend on natural gas – a finite resource – for electricity, and though the present demand may not result in its complete depletion, an occasional spike in energy requirements, like during the summer months or seasons of intense oil & gas or commercial production, may result in supply hiccups which are not to be underestimated. 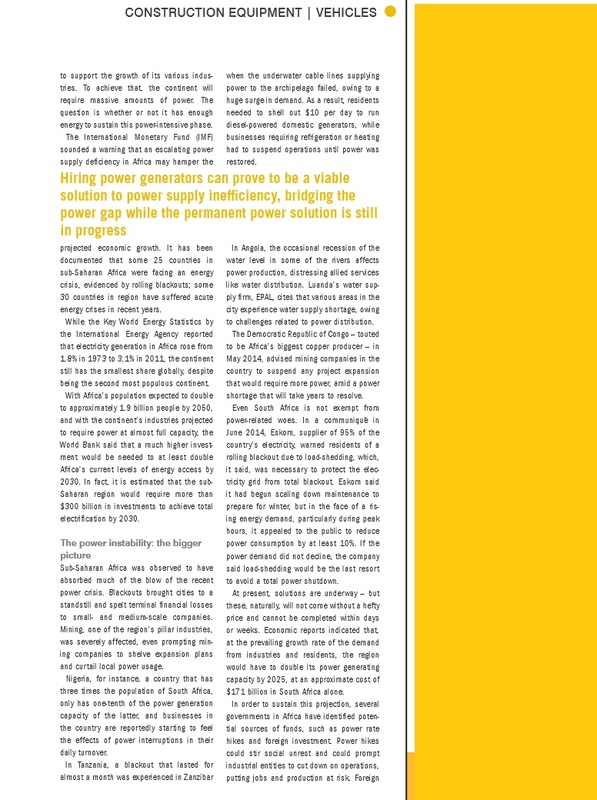 When the demand overwhelms the supply channels, power outages may occur. 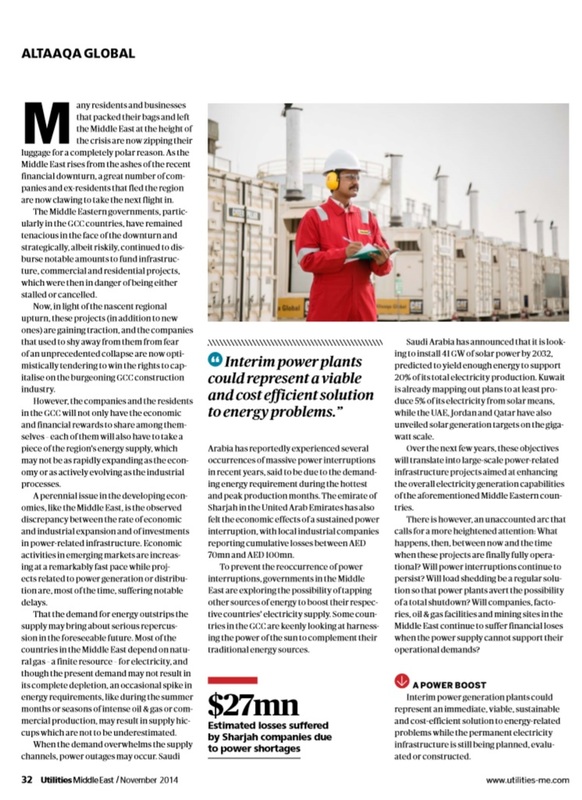 Saudi Arabia has reportedly experienced several occurrences of massive power interruptions in recent years, said to be due to the demanding energy requirement during the hottest and peak production months. The emirate of Sharjah in the United Arab Emirates has also felt the economic effects of a sustained power interruption, with local industrial companies reporting cumulative losses between AED 70 million and AED 100 million. 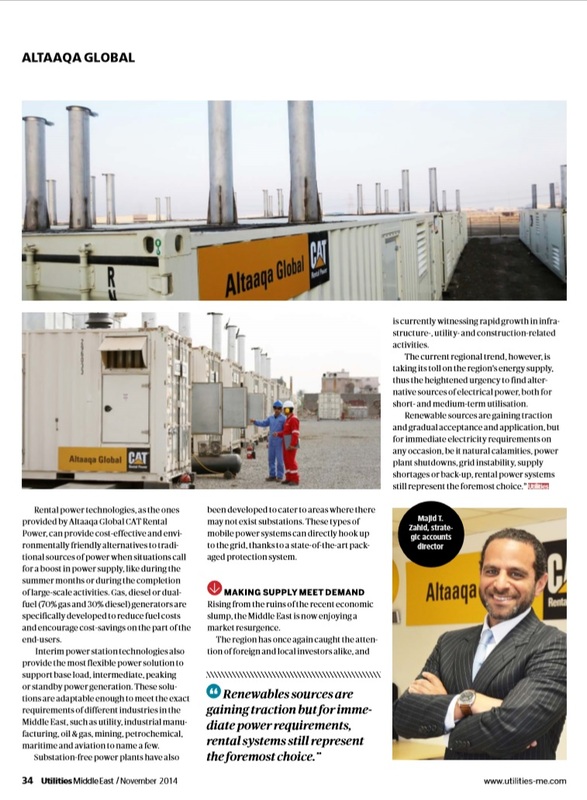 To prevent the recurrence of power interruptions, governments in the Middle East are exploring the possibility of tapping other sources of energy to boost their respective countries’ electricity supply. 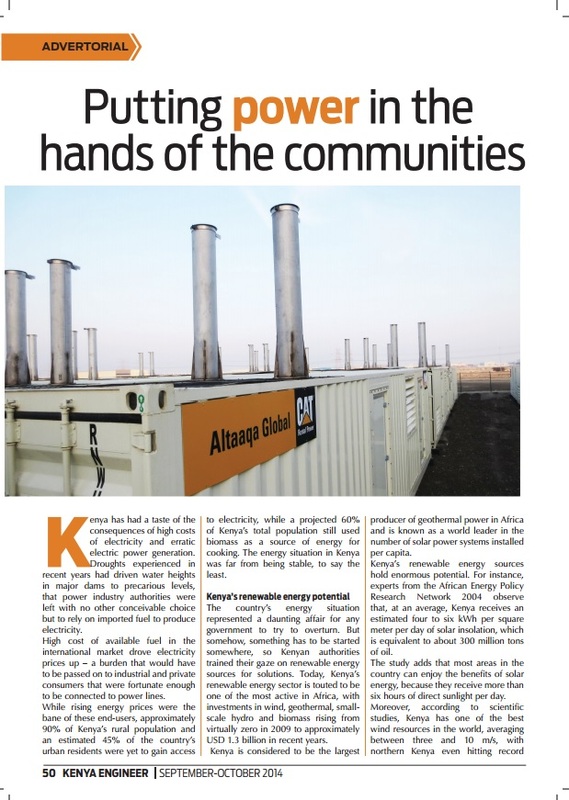 Some countries in the GCC are keenly looking at harnessing the power of the sun to complement their traditional energy sources. Saudi Arabia has announced that it is looking to install 41 GW of solar power by 2032, predicted to yield enough energy to support 20% of its total electricity production. Kuwait is already mapping out plans to at least produce 5% of its electricity from solar means, while the UAE, Jordan and Qatar have also unveiled solar generation targets on the gigawatt scale. Over the next few years, these objectives will translate into large-scale power-related infrastructure projects aimed at enhancing the overall electricity generation capabilities of the aforementioned Middle Eastern countries. There is however, an unaccounted arc that calls for a more heightened attention: What happens, then, between now and the time when these projects are finally fully operational? 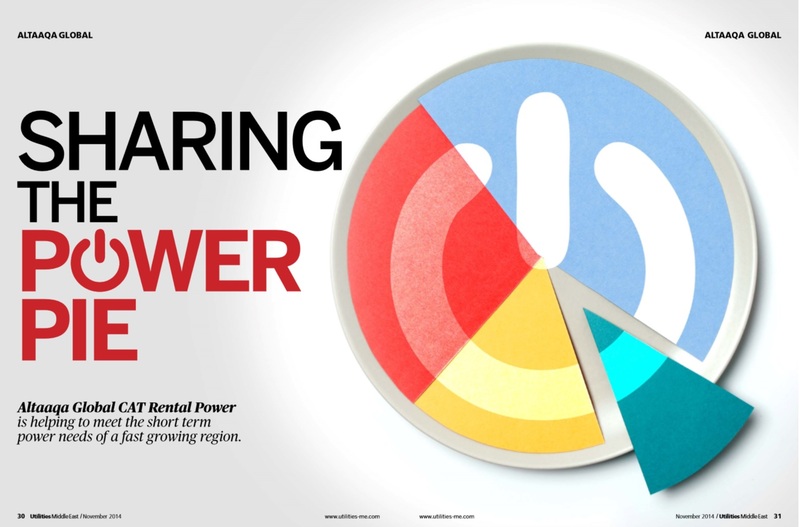 Will power interruptions continue to persist? 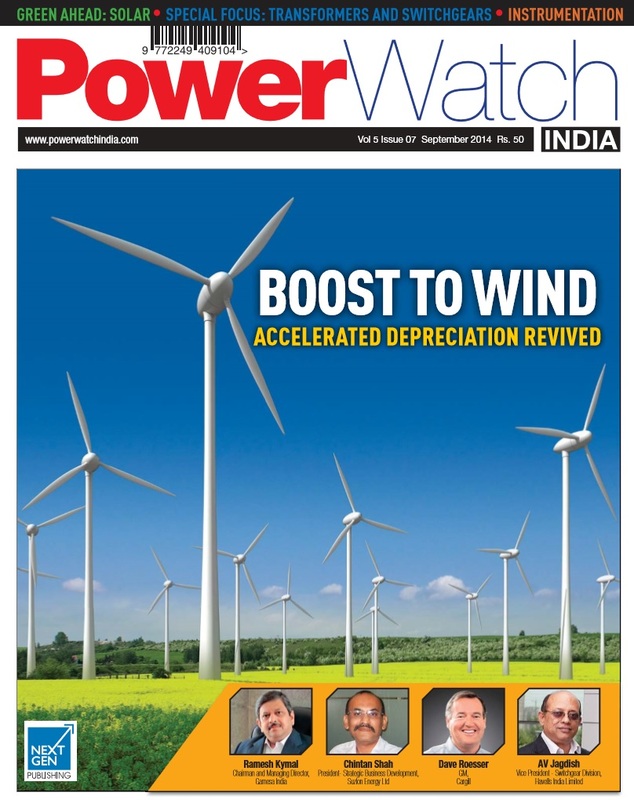 Will load shedding be a regular solution so that power plants avert the possibility of a total shutdown? 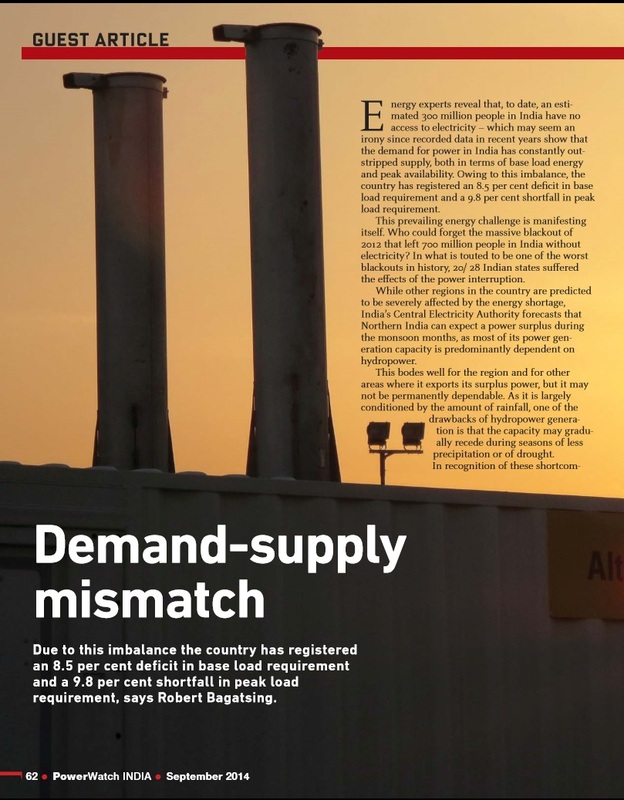 Will companies, factories, oil & gas facilities and mining sites in the Middle East continue to suffer financial loses when the power supply cannot support their operational demands? 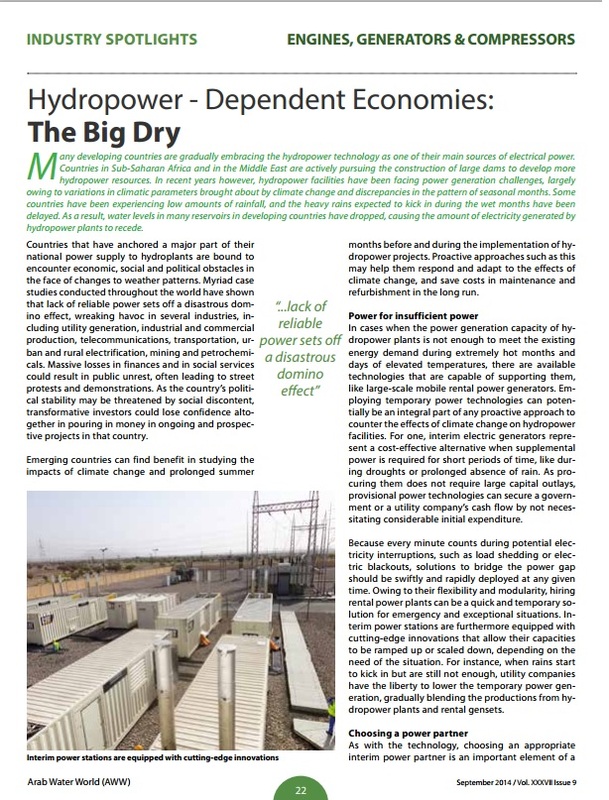 Interim power generation plants could represent an immediate, viable, sustainable and cost-efficient solution to energy-related problems while the permanent electricity infrastructure is still being planned, evaluated or constructed. 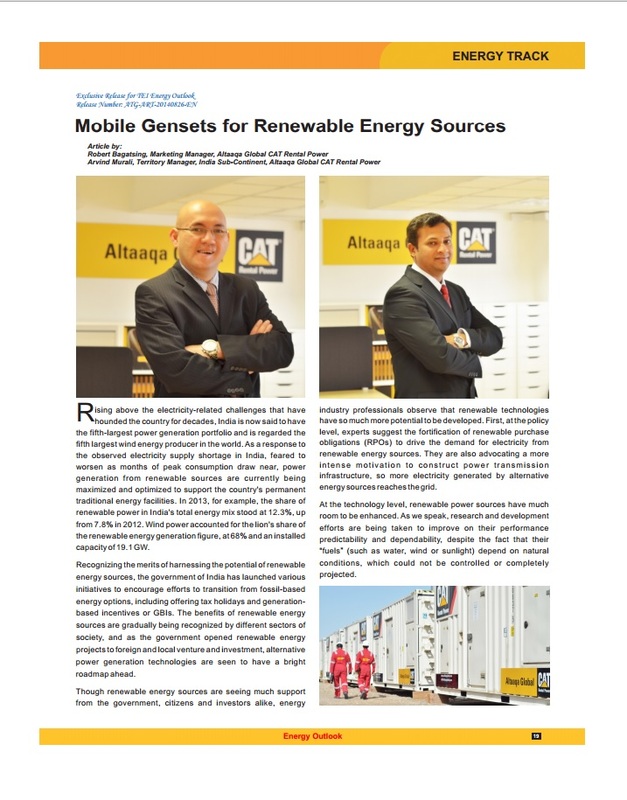 Rental power technologies, as the ones provided by Altaaqa Global CAT Rental Power, can provide cost-effective and environmentally friendly alternatives to traditional sources of power when situations call for a boost in power supply, like during the summer months or during the completion of large-scale activities. 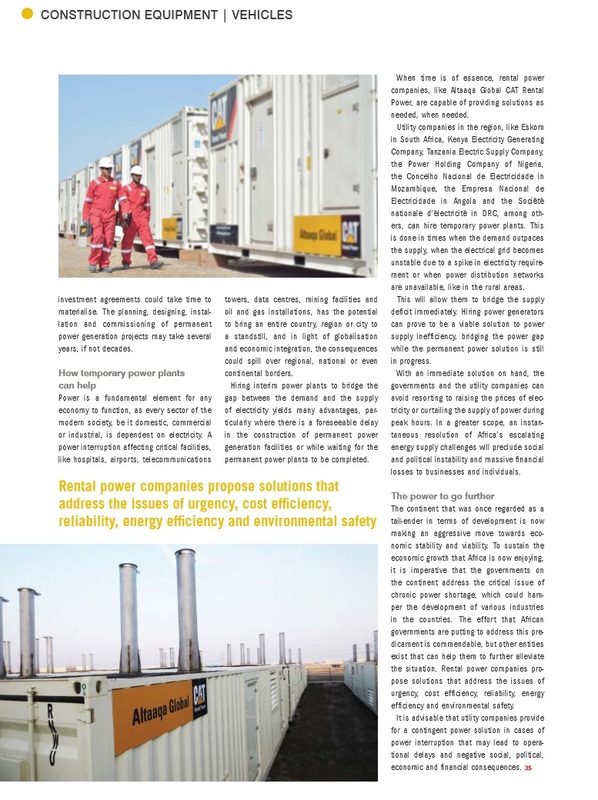 Gas, diesel or dual-fuel (70% gas and 30% diesel) generators are specifically developed to reduce fuel costs and encourage cost-savings on the part of the end-users. 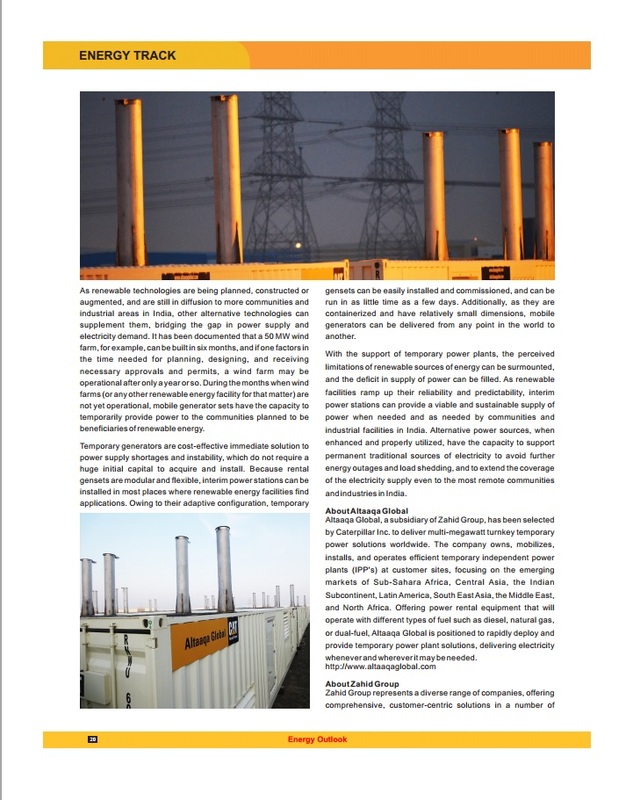 Interim power station technologies also provide the most flexible power solution to support base load, intermediate, peaking or standby power generation. 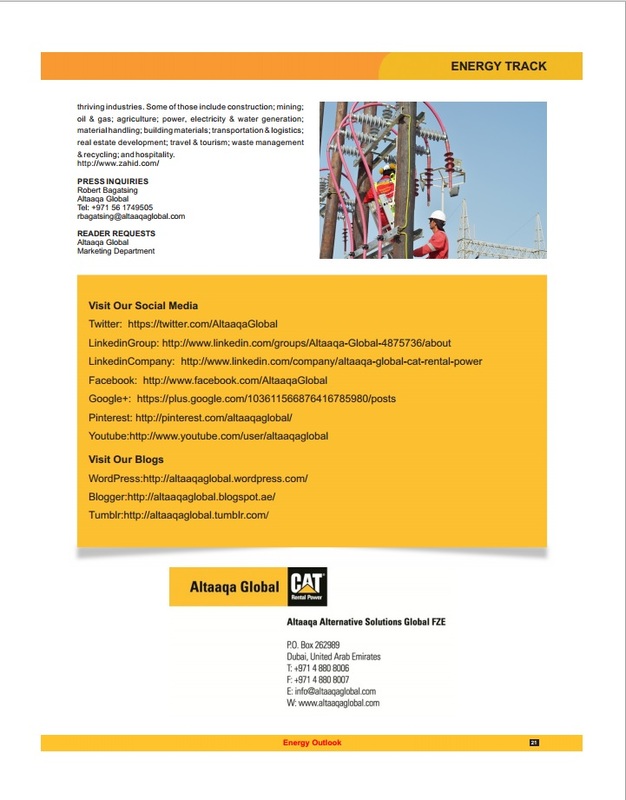 These solutions are adaptable enough to meet the exact requirements of different industries in the Middle East, such as utility, industrial manufacturing, oil & gas, mining, petrochemical, maritime and aviation to name a few. 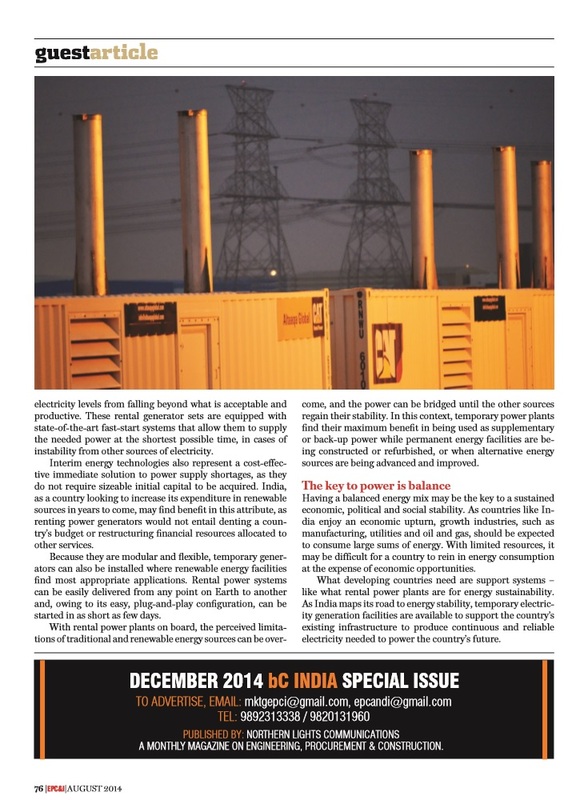 Substation-free power plants have also been developed to cater to areas where there may not exist substations. 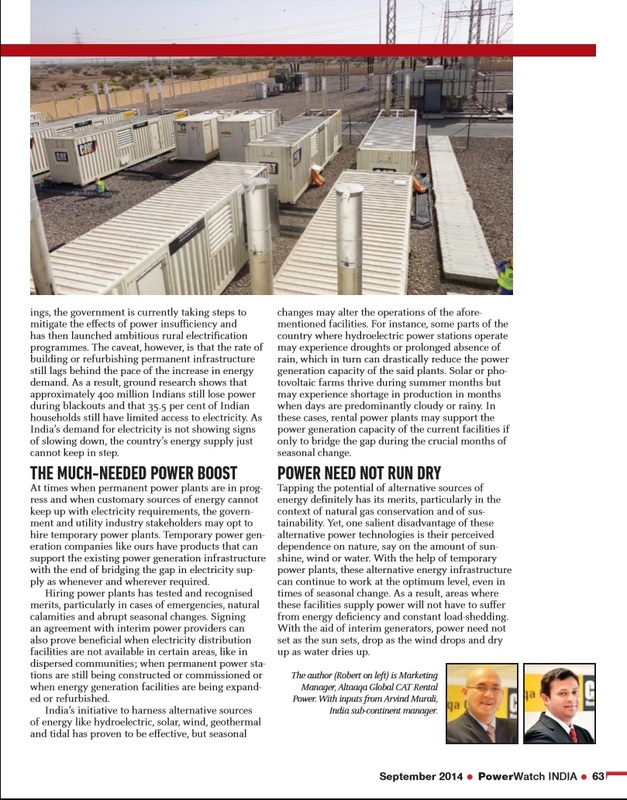 These types of mobile power systems can directly hook up to the grid, thanks to a state-of-the-art packaged protection system. Rising from the ruins of the recent economic slump, the Middle East is now enjoying a market resurgence. 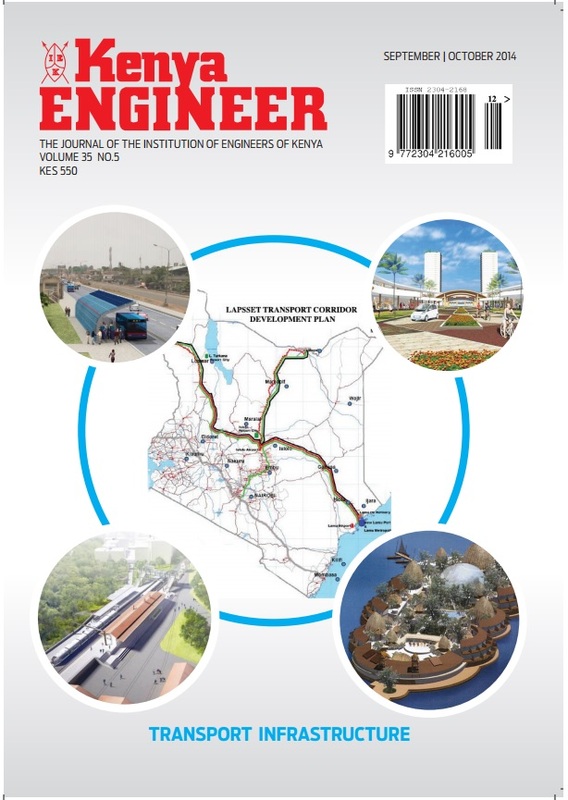 The region has once again caught the attention of foreign and local investors alike, and is currently witnessing rapid growth in infrastructure-, utility- and construction-related activities. 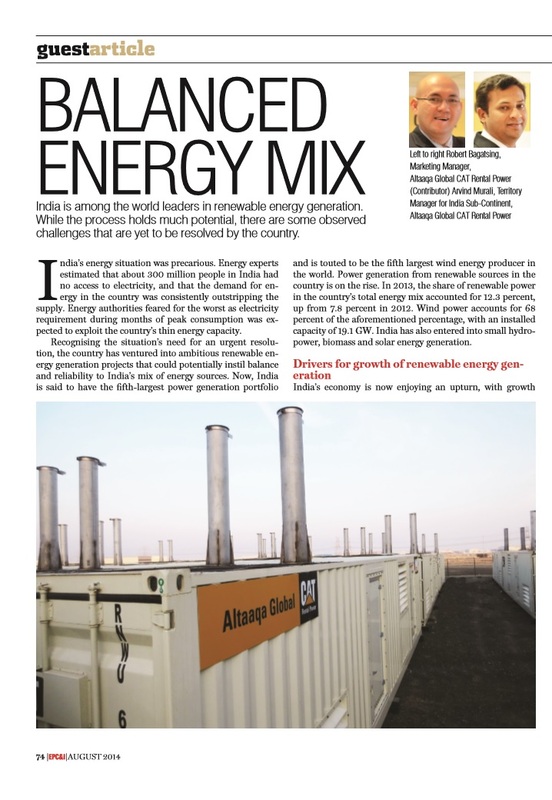 The current regional trend, however, is taking its toll on the region’s energy supply, thus the heightened urgency to find alternative sources of electrical power, both for short- and medium-term utilization. 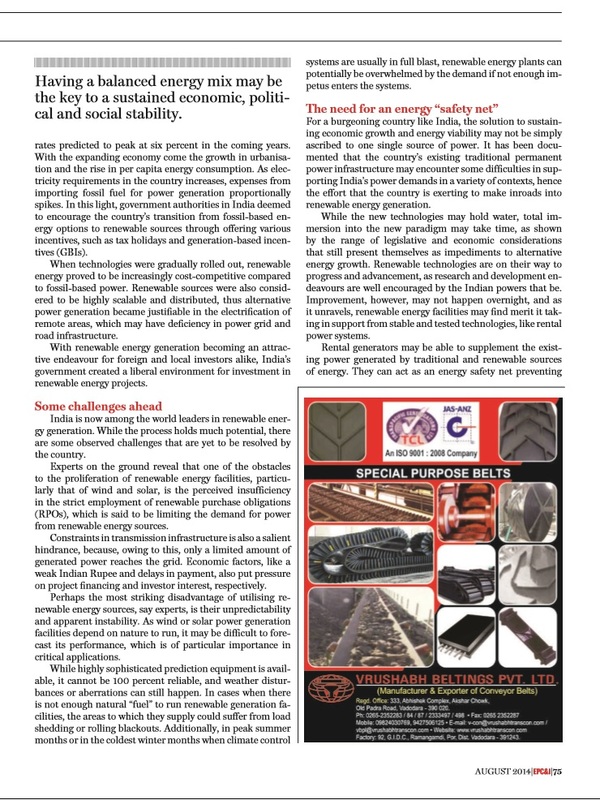 Renewable sources are gaining traction and gradual acceptance and application, but for immediate electricity requirements in any occasion, be it natural calamities, power plant shutdowns, grid instability, supply shortages or back-up, rental power systems still represent the foremost choice.